Liese, pronounced as "Lee-zay" (if you didn't have a clue) consists of a range of hair products that include hair color, styling and leave-on treatments which are popular among teen girls and working ladies of today. Anyway, I'm glad that I've got the opportunity to try and review the products now. 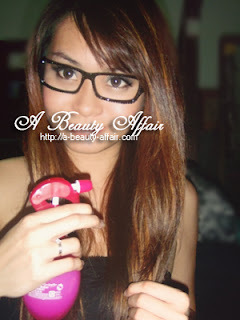 "A boost of moisturizing raspberry essence to quench hair's dryness and smoothen frizziness anytime, anywhere. The refreshing berry scented water-base spray invigorates senses with every spray while enabling a fuss-free quick fix to the hair." What can I say? I am really digging the cute spray bottle packaging which is adorable and eye-catching. I have dry hair that has been chemically-treated many times due to the dyeing and rebonding I have done in the past. So this comes in real handy now and it helps make my hair more manageable. Furthermore, application is such a breeze with the way its packaged, just spray it on areas you wanna "de-frizz" and "smoothen". The fruity & refreshing scent is what I adore because it makes my hair smell so good. 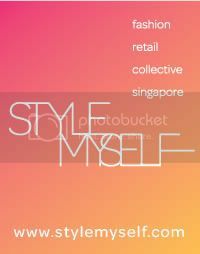 This is retailing at S$14.90 for the trigger pack & S$16.90 for the refill. "Easy to spread wax that keeps hair sleek, straight and frizz-free all day." 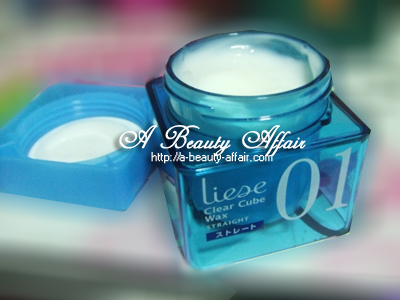 To be honest, I do not use any hair styling products and this Liese clear cube wax is something new for me. I dislike feeling any oily or stickiness on my hair so I was quite apprehensive prior to trying this out. However, it was really light in texture and had a pleasant scent too. It helped keep my hair in place and appear straighter without much effort. I followed the instructions to apread a pearl size to palm then fingers to style. *Number indicates strongest hair setting power with 06 being the strongest. Check out my mini tutorial below on how to achieve pretty, straight and smooth-looking hair with the 2 Liese products. Prepare the hair by smoothing it with Liese Juicy Shower Moisturizing Hair Mist. Spray from mid length to tip. Comb through gently. No tangles at all after using Liese! Apply Liese Clear Cube Wax in 01 Straight. Just take a small amount the size of a 20cent coin and place it on your palm. Rub both palms and fingers together. Run your palms and fingers through your hair from mid length downwards to the tips. Do check out Liese's facebook page & visit their Liese website for their full range of products too. 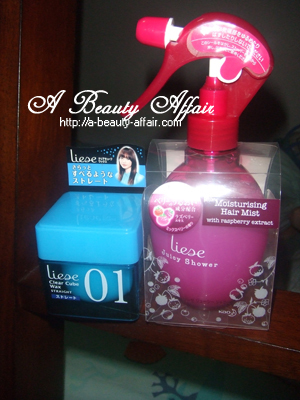 The Liese hair products can be found at Watsons, Guardian, Major supermarkets and hypermarkets.